Ella has run off to Las Vegas to attend school and when she can't stay in the dorms over summer break, she is forced to return home. Her roommate, Lila, drives her home and there she realizes that Ella has not been honest with her. The studious and preppy Ella is really addicted to adrenaline and has a wild strike. Lila drags her to a party down the street before she heads home to California and witnesses the immense attraction between Micha and Ella, the boy she left behind. As Ella becomes more and more immersed in her old life, Lila see her true self and realizes that she has never been happy. Micha has his own issues, a father who left him at age six, and has a hard but stable life in their neighborhood that is on the bad part of town. He stopped playing music the moment Ella disappeared and has been searching for her ever since. When she finally reappears, he tries to find the old Ella buried underneath the new front of perfect she has put up. As the two explore their relationship, fact of their past keep coming up. The hardest thing is that Ella's mother has committed suicide after a lengthy mental illness and her brother blames her while her father becomes a raging alcoholic. This story broke my heart and I found myself in tears over Ella's life. The fact that she tries to pull herself together and move on to college shows just how much courage she has. Even though Ella runs away, it is the only way she can survive. Lila's, her roommate, is a wonderful friend to her even though she has some secrets that aren't revealed in this story. 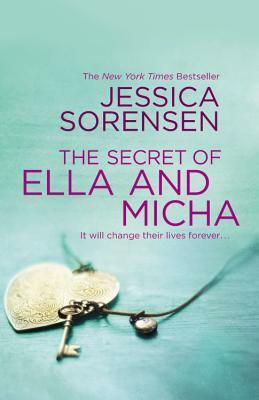 Ethan, Micha's best friend, develops a romance with her and I can't wait to see what will happen there. When Micha and Ella finally do realize they are in love, I was so thankful that they realized it before it was too late. I really can't wait to get my hands on the next installment and fans of Katie McGarry and Jennifer Echols are going to adore this series. Parents: this is a New Adult book, so it is best suited for mature teens since there are sexual situations, language and alcohol / drugs mentioned.